Gardaí will implement a plan to tackle it with Revenue. GARDAÍ AND CUSTOMS officials in Co Mayo have agreed to increase cooperation to combat complaints from the public about suspected petrol stretching. 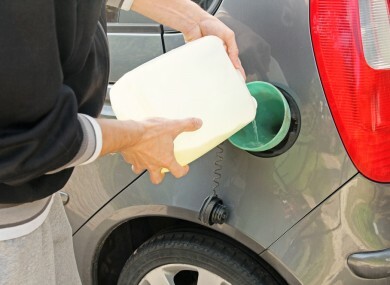 Petrol stretching involves the dilution of petrol with other fuels such as a kerosene and methanol, a practice that can be damaging to car engines. The sale of adulterated petrol has become a more acute problem in the west of Ireland and in border regions. Gardaí in Mayo say they have received “numerous complaints” from the public and are intensifying their investigations to find those responsible. As part of the plan, gardaí and officers from Revenue have agreed to greater sharing of information with Revenue saying that they have been in contact with fuel sellers. Random fuel checks will also continue according to gardai with a view to securing prosecutions. Both An Garda Síochána and Revenue say they are aware of the risks posed to consumers’ vehicles, legitimate businesses and the exchequer by all forms of fuel fraud. They are advising motorists to take care where they source their petrol and report any suspicions concerning adulterated fuel which may have damaged their engines. Email “Complaints about petrol 'stretching' in Mayo force gardaí to act”. Feedback on “Complaints about petrol 'stretching' in Mayo force gardaí to act”.